This is Bernadette Liguori, my sister-in-law. She passed away suddenly in March 2018. 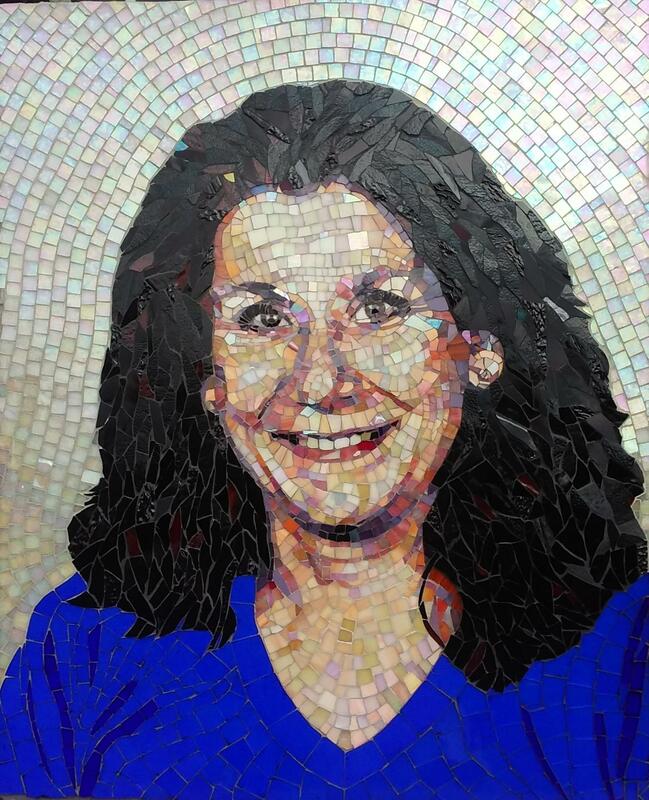 When I learned that, as a kindergarten teacher for almost 30 years, the school planned to honor her by dedicating the library to her, I offered to make a mosaic portrait to be installed there. I wanted the portrait to be an example of my best work and to reflect her cheerful personality and warmth, so I used tones of pink, orange and lavender glass for her face. It is 36" x 24" on Kerdi board using Laticrete Platinum 254 thinset and 4 colors of grout. It will be dedicated in March 2019.